Overall there will be three Headliner Weeks this year. 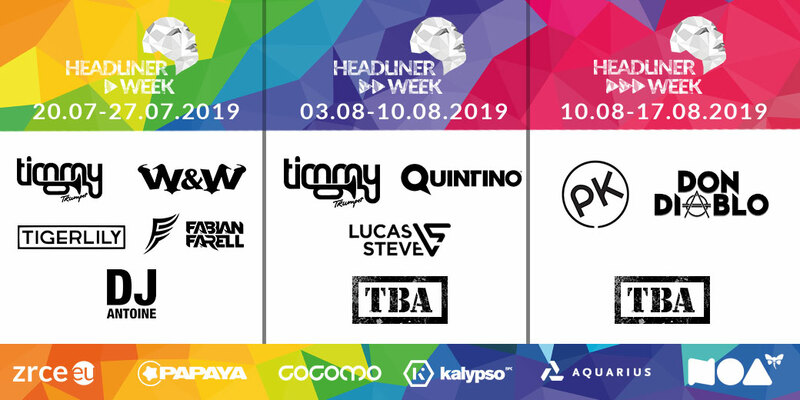 The Headliner Weeks take place in the middle of the high season at Zrce Beach. 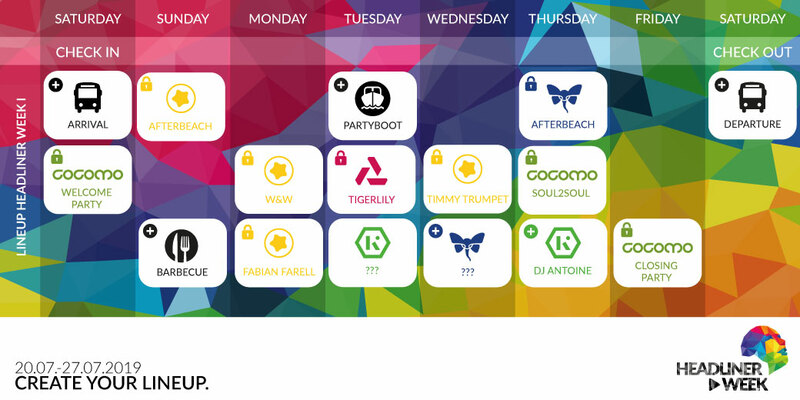 Like the name already said, the Headliner weeks are fully packed with a brilliant lineup. 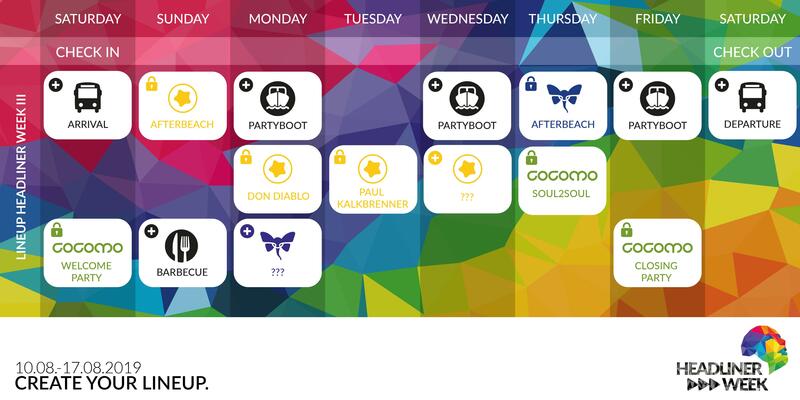 Every day another DJ Star plays in one of the big clubs at Zrce Beach and will bring you an unforgettable party night! The benefit with our Headliner Week ticket is, that you can collect your lineup together how you want it. You want 7 days just party? No problem! You want to relax one day? Then save the money for the ticket for this day! Basically our Headliner Week Ticket already includes two TOP dj acts. 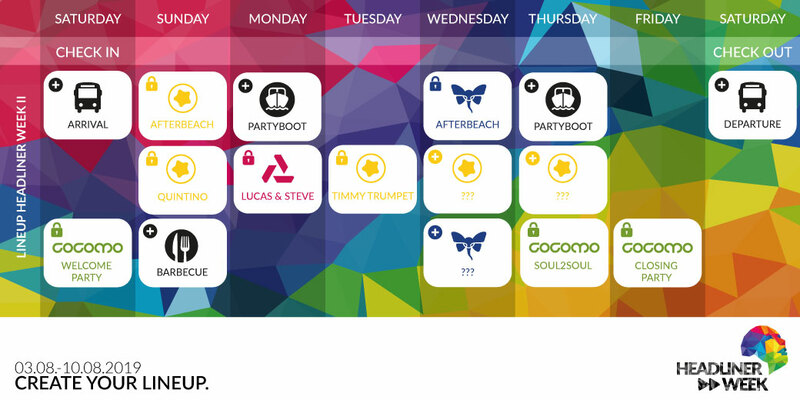 The other djs you can book as an upgrade as you wish. We offer you personalized packages, which includes accommodation and the festival ticket. Several specials like the partyboat, bus shuttle service from Novalja to Zrce Beach and back, you can book directly with a reduced price. The travel period while Headliner Weeks is always from saturday to saturday. Optionally you can book additional shows at a reasonable price! With the Headliner Week Ticket, you save up to 50% on individual bookings or box office entrance fees. Still questions? Just write us a message! With the Headliner Week we are’nt neutral, because we’re working on that project. Last year we got a good feedback and we want to grow in 2018..